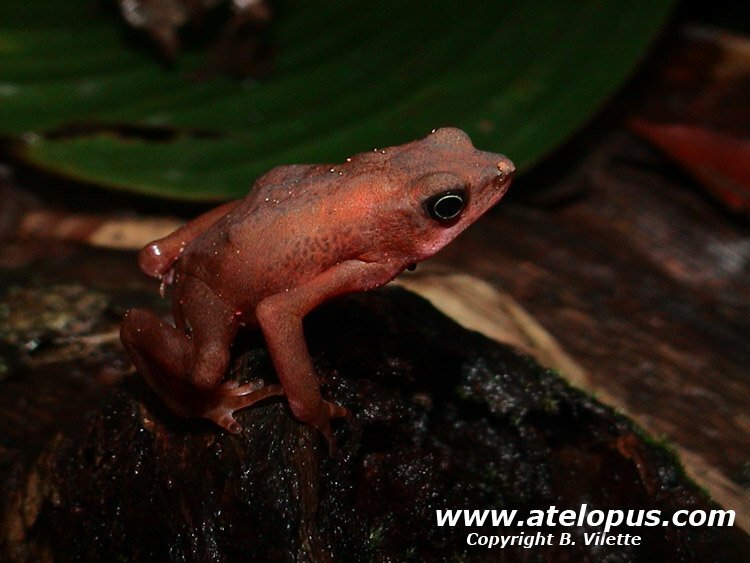 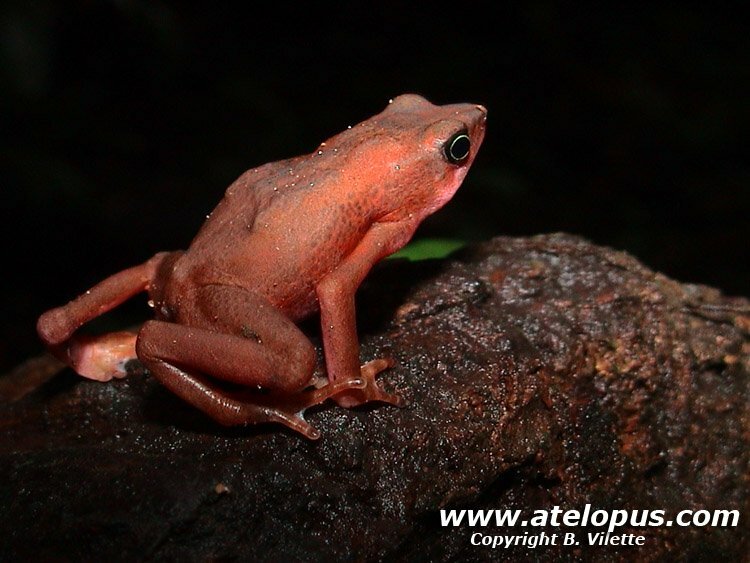 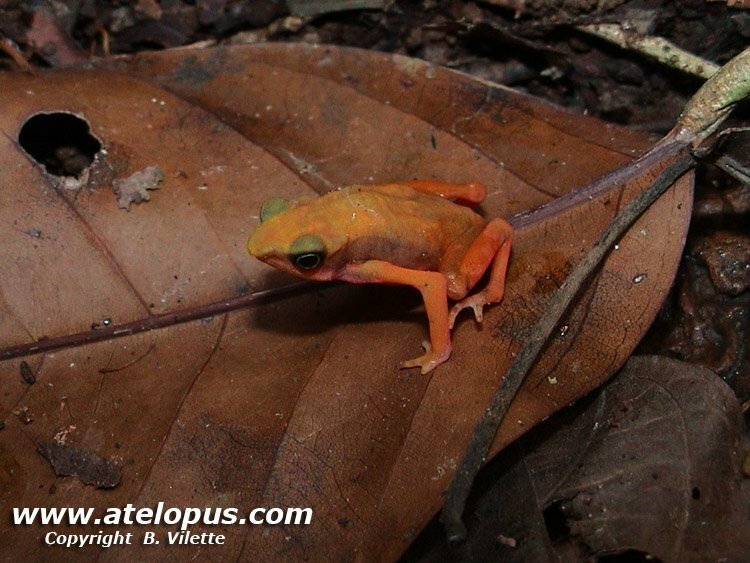 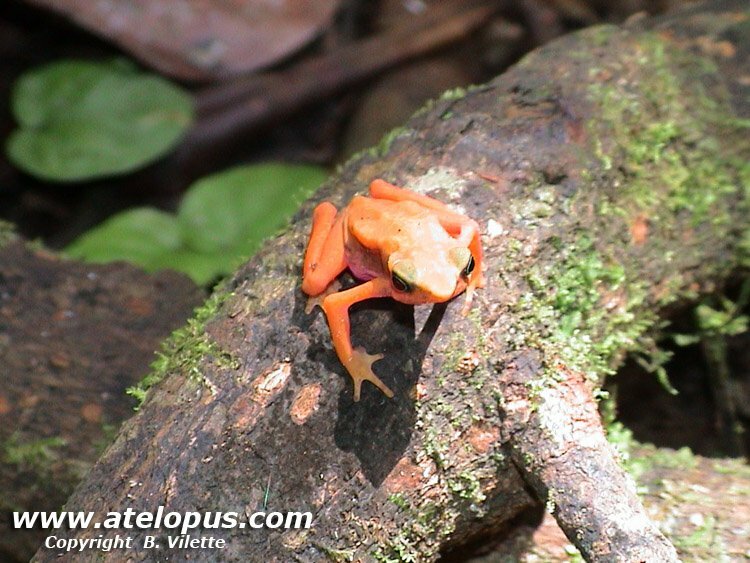 Atelopus flavescens - male. 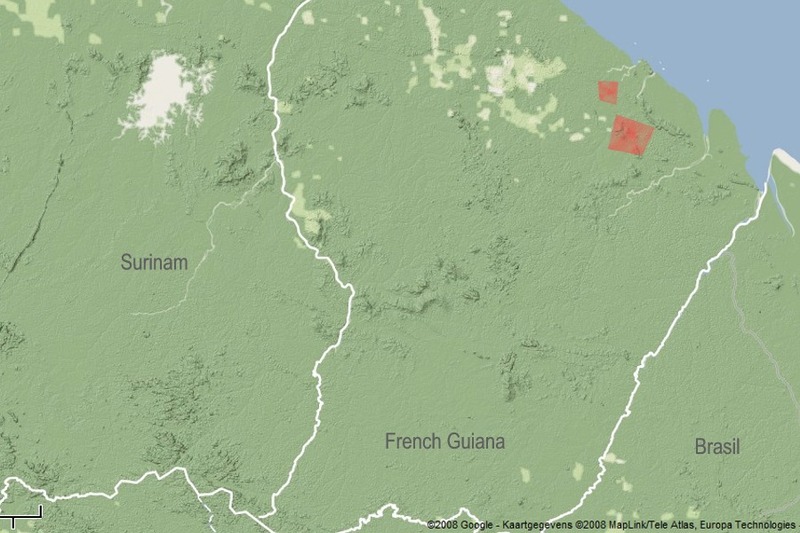 Population Kaw Mountains. 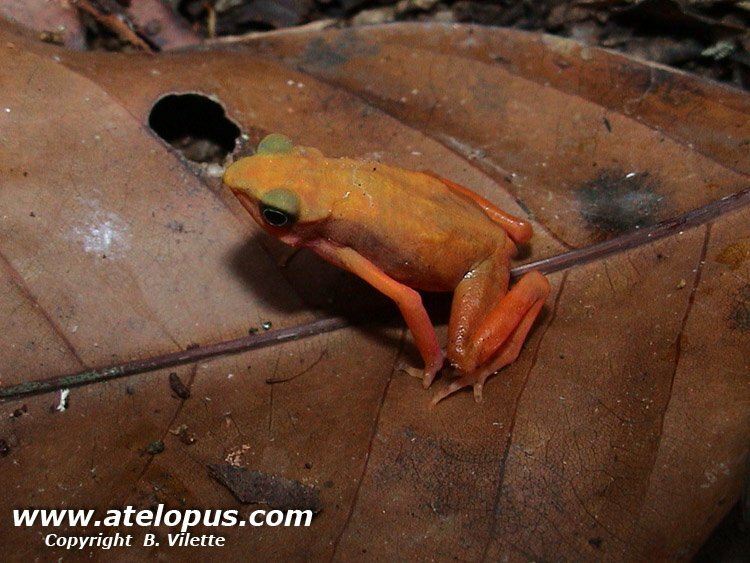 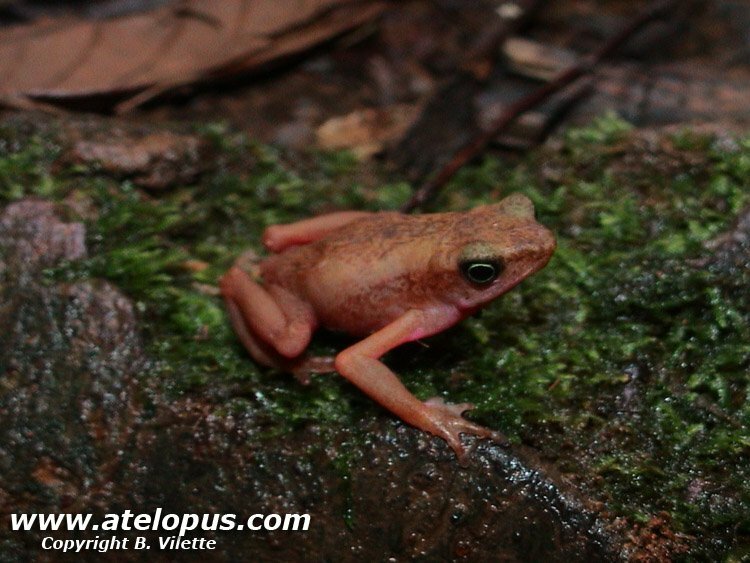 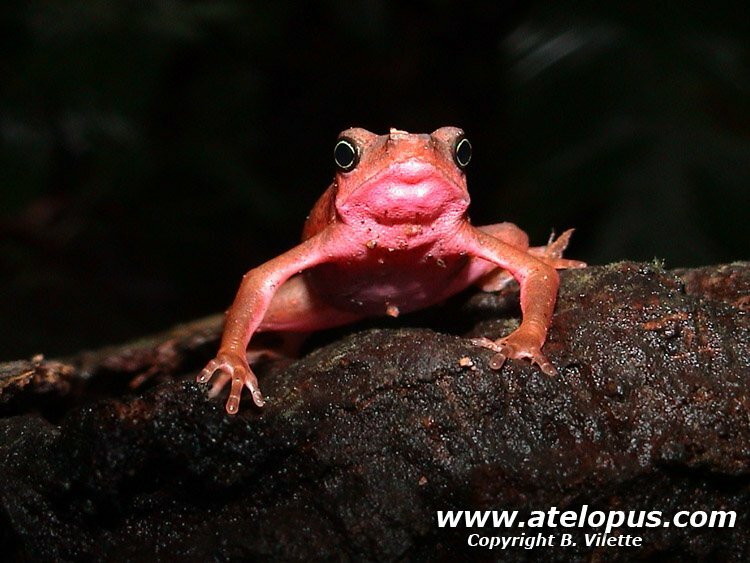 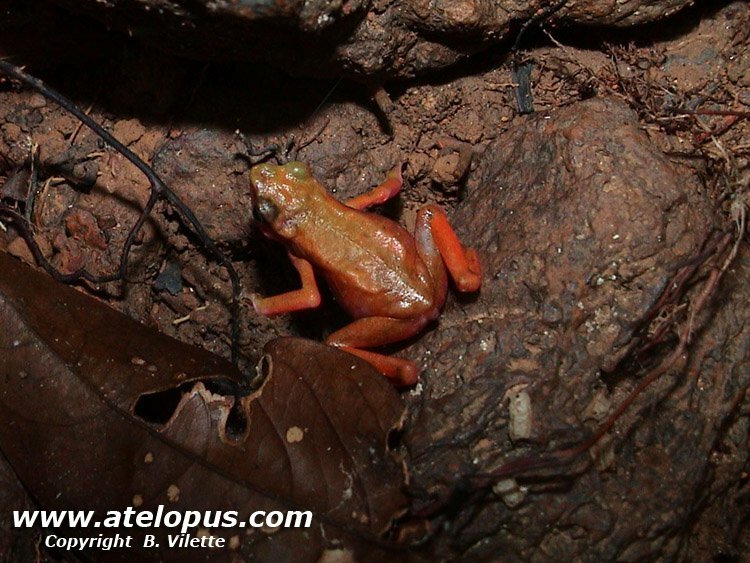 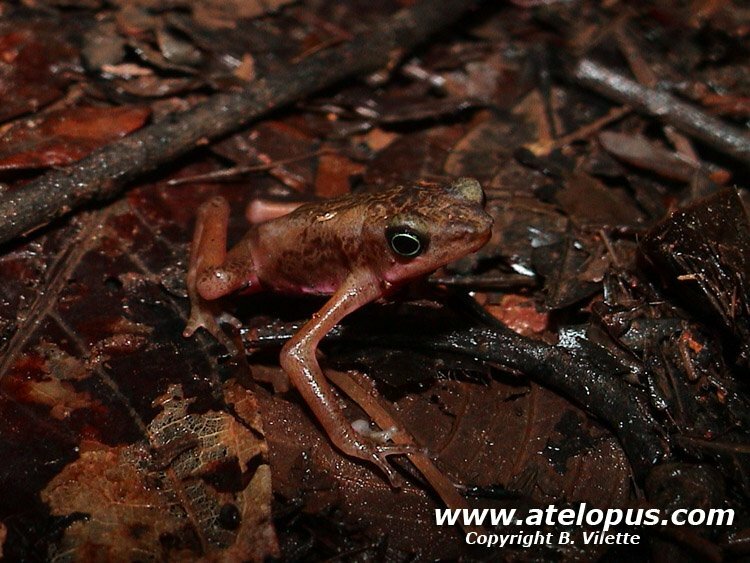 Atelopus flavescens - female. 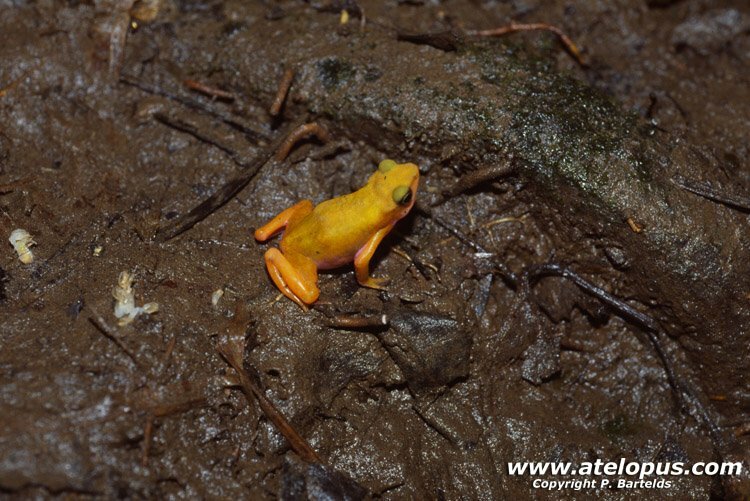 Population Kaw Mountains. 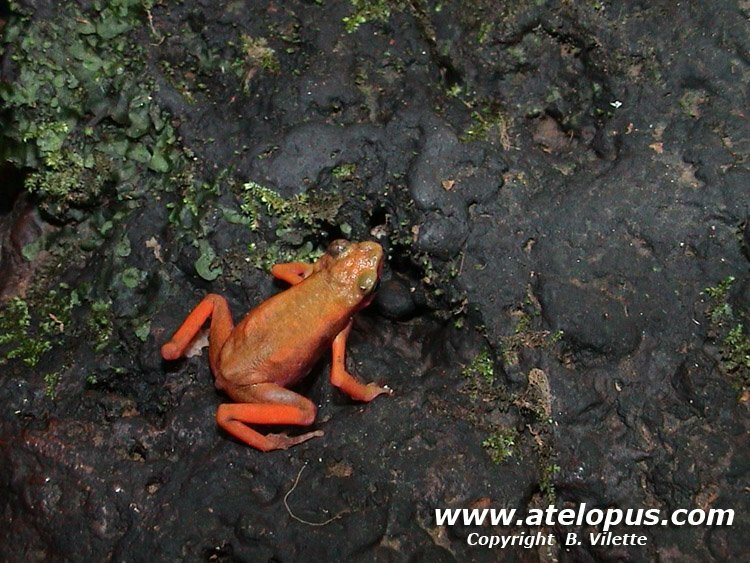 Atelopus flavescens - male. 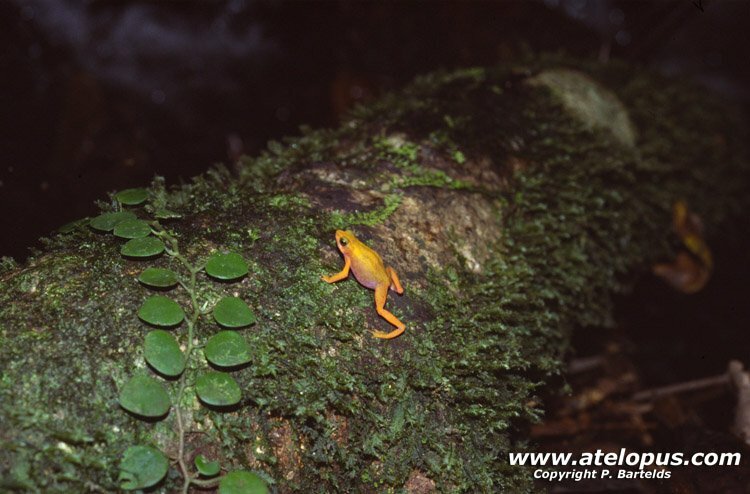 Population Kaw mountains. 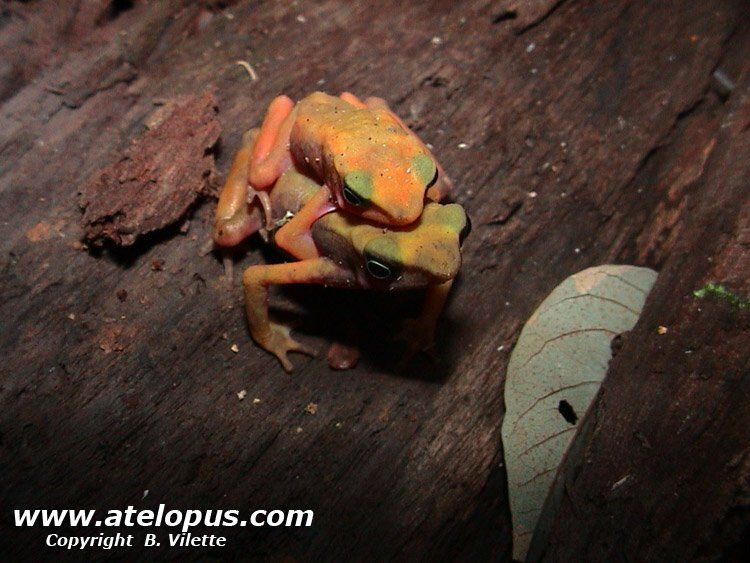 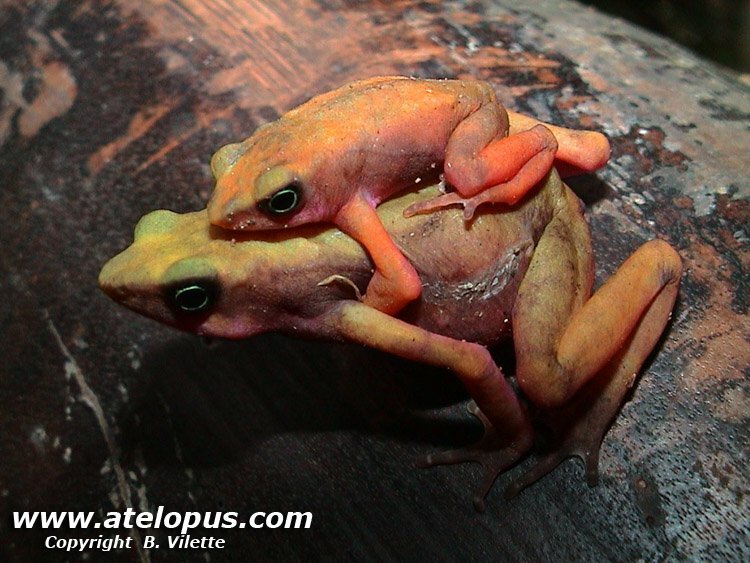 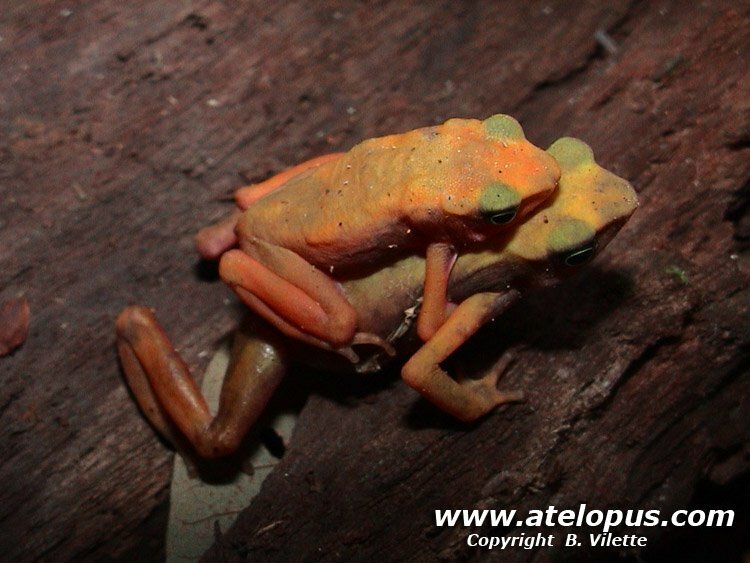 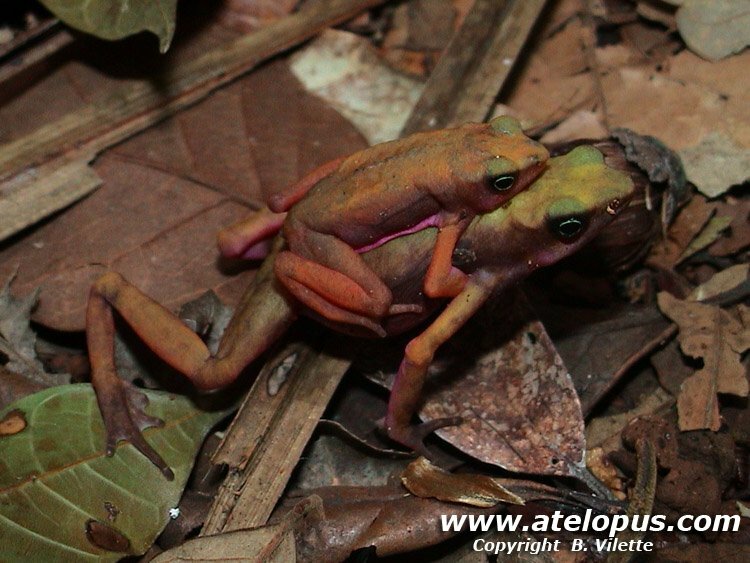 Atelopus flavescens - males. 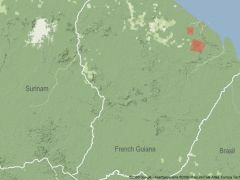 Population Kaw mountains. 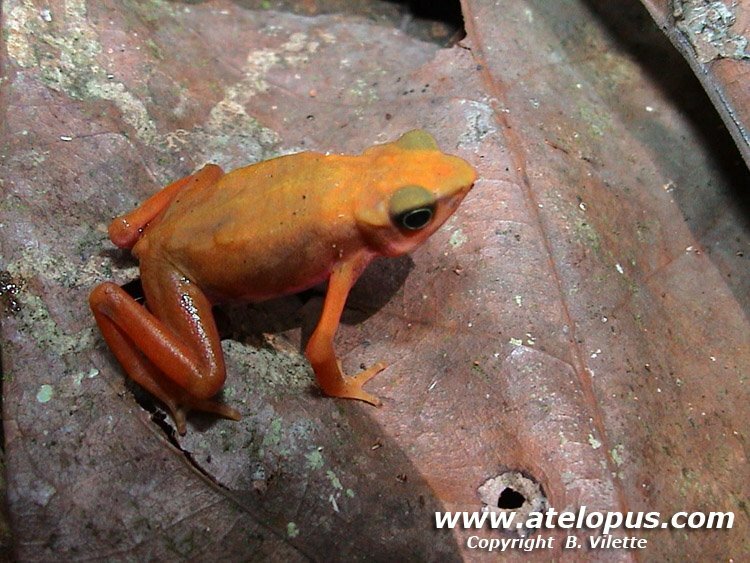 The range of A. flavescens is concentrated in the northern part of French Guyana. 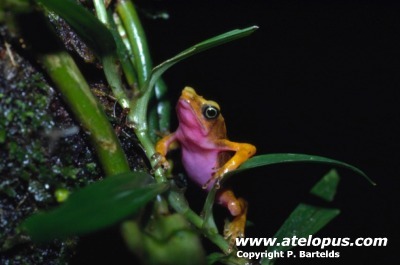 Suitable habitat includes both pre-montane and lowland zones. 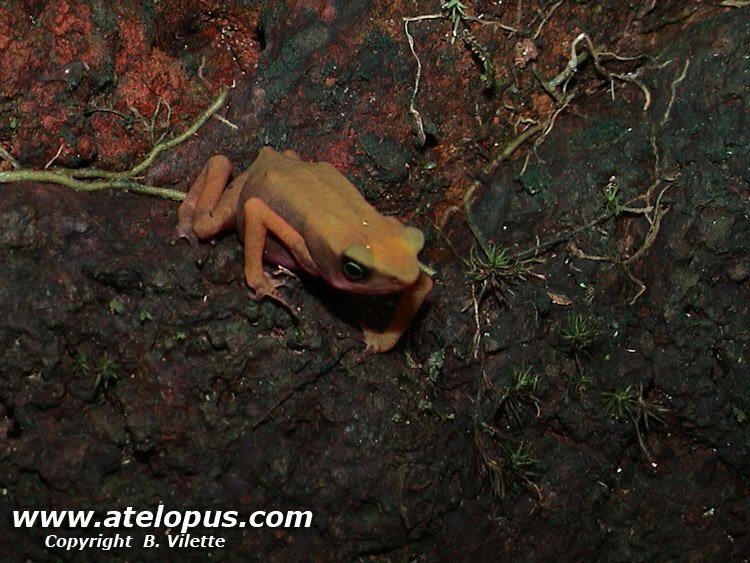 This species is found between 0 - 300 meters a.s.l. 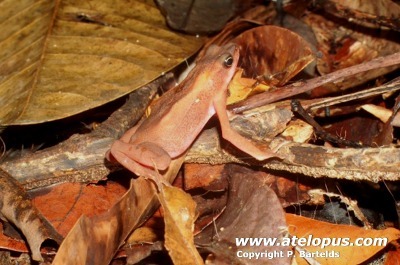 It has not been recorded outside primary forest. 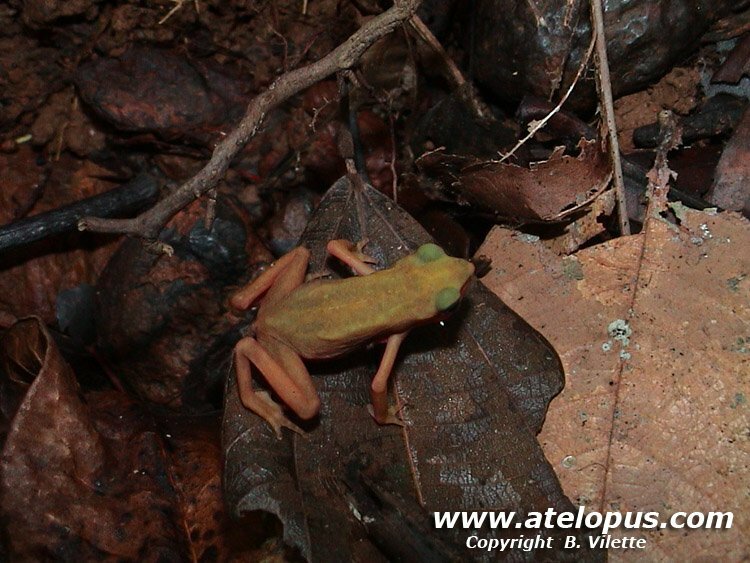 This species is reasonably common at a number of localities. 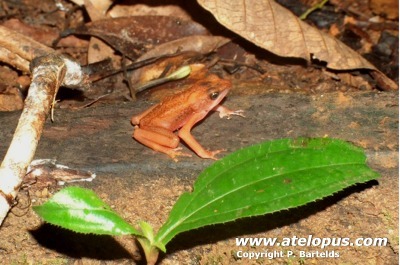 Large population was seen in the Kaw Mountains in French Guyana in April 2005 (M. Bartelds). 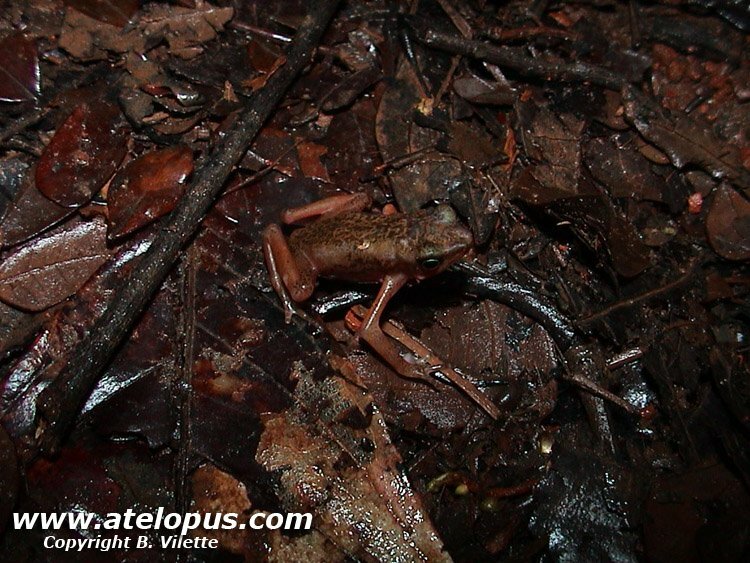 Several animals were spotted on Montagne Matoury in April 2005 (M. Bartelds). 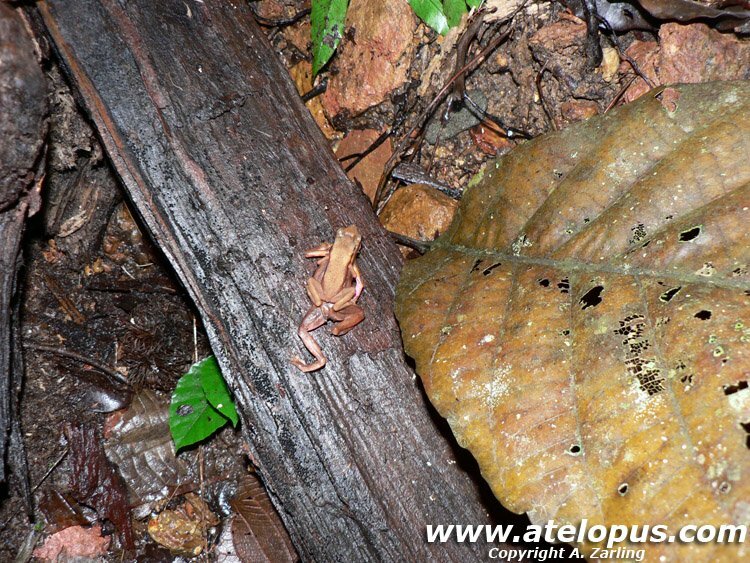 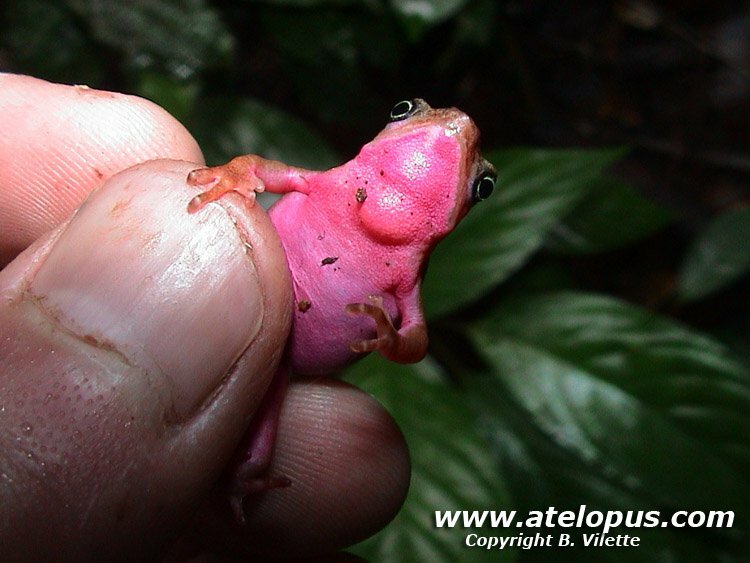 This is a species of the tropical lowland forest. 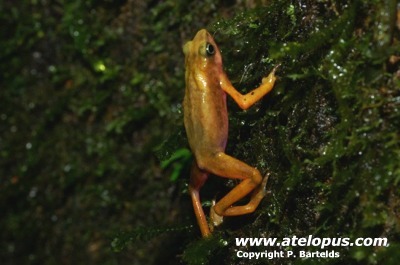 Breeding and larval development takes place in fast flowing small forest streams.